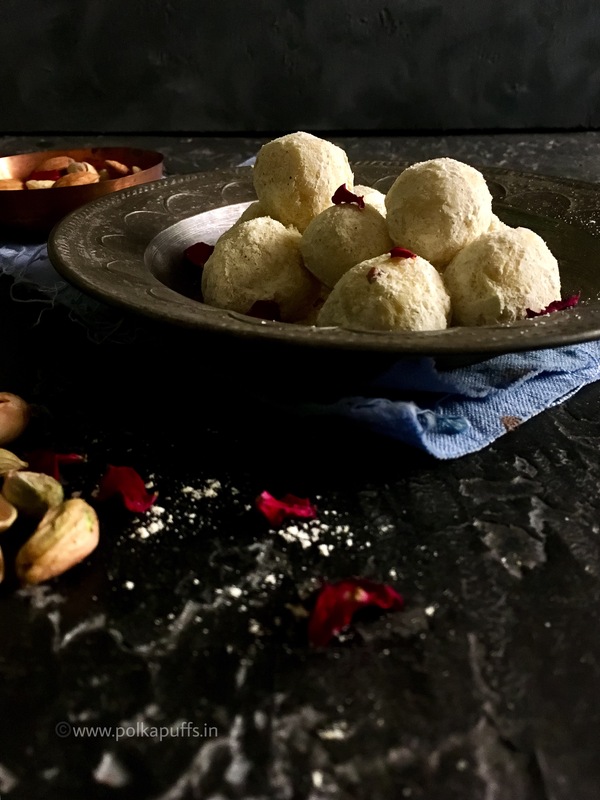 Thandaai Spiced White Chocolate Truffles are very delicious and absolutely melt in the mouth good! 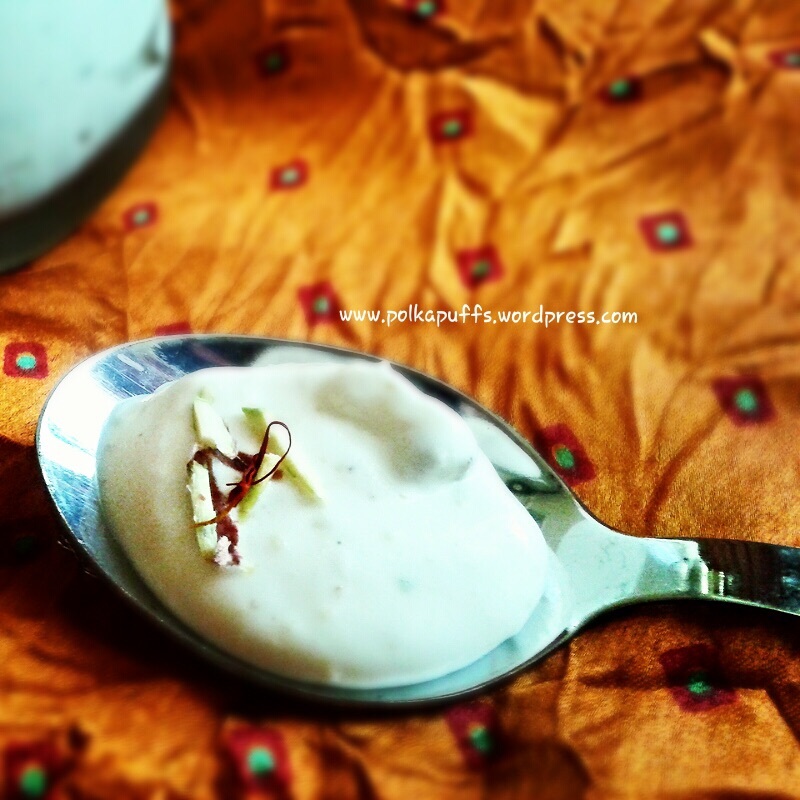 Flavored with mild spices, they are apt for Holi. 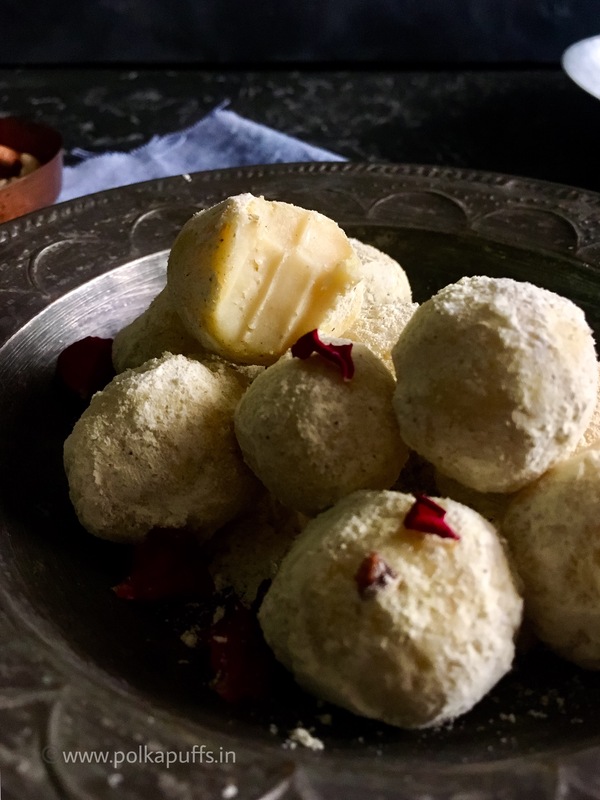 Thandaai Spiced White Chocolate Truffles are very easy to make as well. Although, they sound a little involved but it’s very quick and straight forward as well. They need everything that one may have sitting in their pantries. I think anything made with a tad bit of this flavorful spice mix can elevate the experience of that dish. As I said, it does sound a bit involved and lengthy at the start, but follow along and you’ll nail it! For this recipe, we will make dry powdered spice mix. So ensure that all the ingredients and equipment used are bone dry. If there is any moisture, the spice mix will get spoilt. 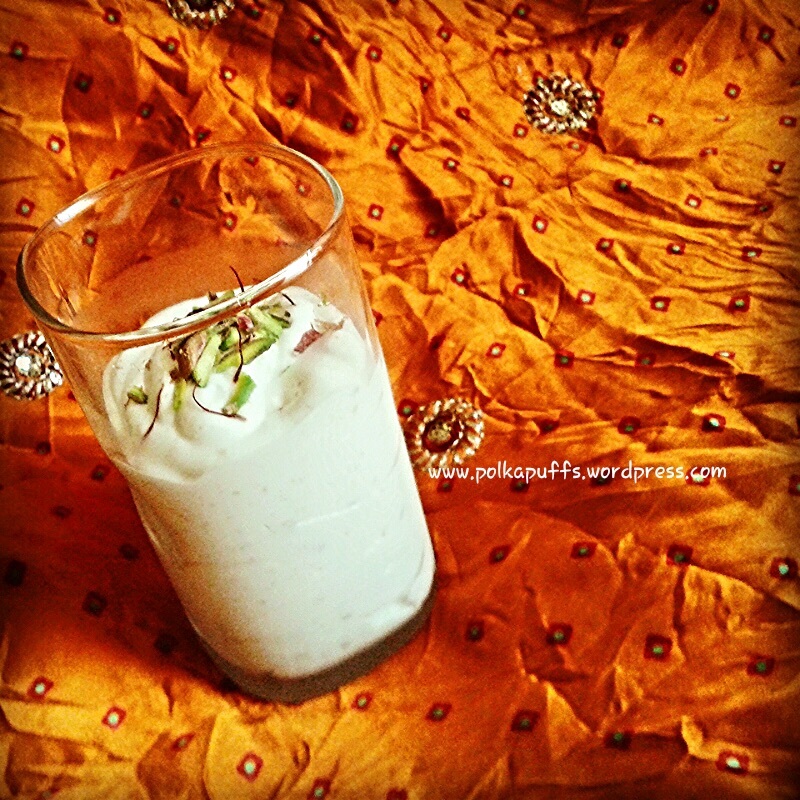 Take sugar, almonds powder, slivered pistachio, aniseed (saunf), black peppercorns (kali mirch), saffron (kesar) muskmelon seeds (magaj), green cardamom (choti elaichi), poppy seeds (khas khas) in a blender jar. Blend them to a fine powder. Set them aside. This powder stays fresh in a glass bottle, under refrigeration for 2-3 months. Heat water in a deep saucepan and let it come a gentle boil. Take the chopped chocolate, cream, butter and a pinch of salt in a heat resistant bowl. Place the bowl over the sauce pan with the boiling water. (double boiler method). Stir gently until the chocolate melts. Add 1 tsp of the Thandaai spice mix at this stage. Mix gently. Turn off the heat. Let the mixture cool down completely. 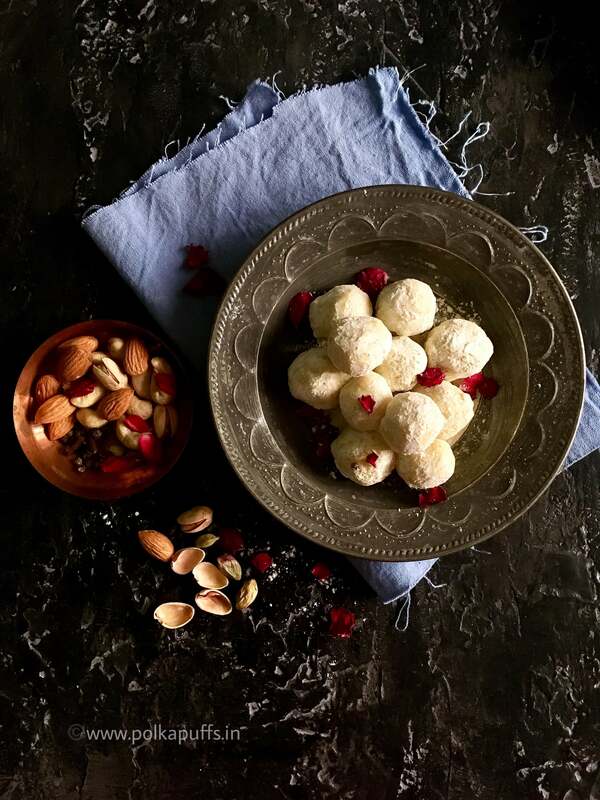 Place the white chocolate ganache in the refrigerator to firm up enough so that it can be rolled into balls or up to 2-3 hours. In a bowl, mix together the remaining 1+1/2 tsp of the Thandaai spice mix and the icing sugar. Once the ganache has set, using a tablespoon or a melon baller, take a portion of the ganache and roll them into equal sized truffles. Roll all the truffles in the icing sugar mix and set them aside. Serve immediately or let them set in the refrigerator for an hour before serving if they seem to have softened while rolling. They keep well in the refrigerator for up to a week. 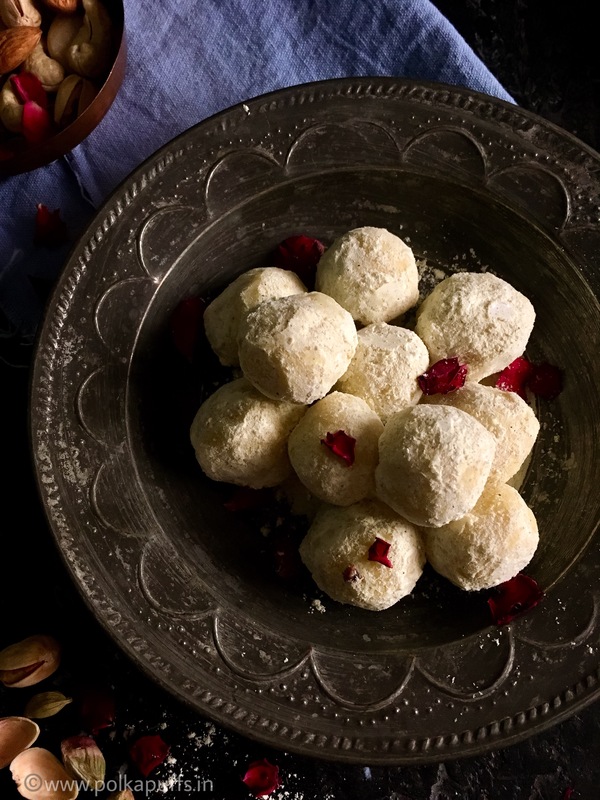 A delicious fusion of Indian spices and white chocolate results in these Thandaai Spice White Chocolate Truffles, just in time for Holi! You can add store bought Thandaai spice mix if that's easily available. 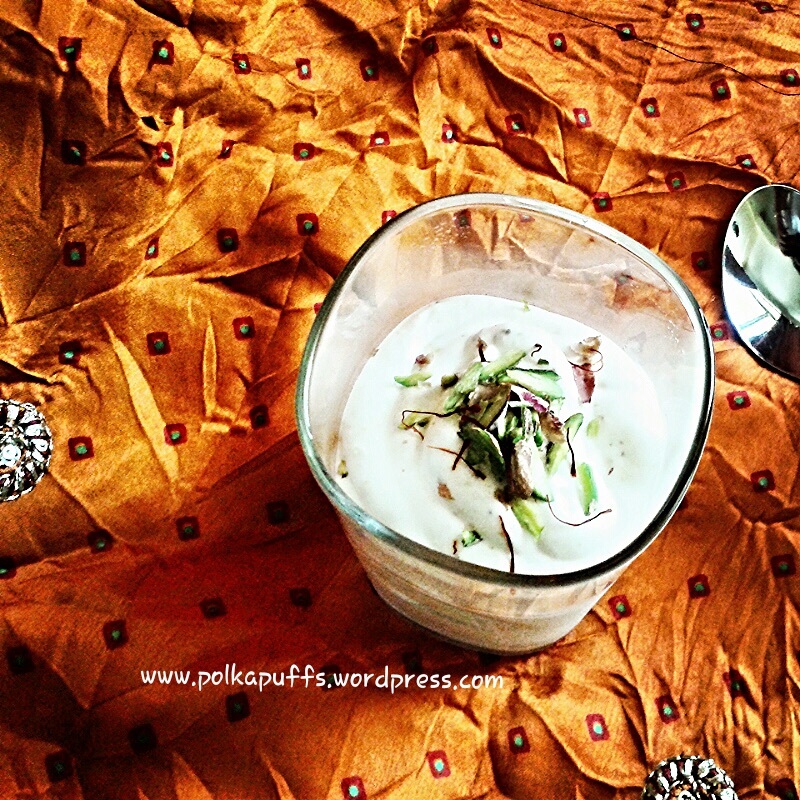 Do not use liquid Thandaai pre mix for this recipe.